On 19th of February, the SUN ingress in PISCES: Happy Birthday for all natives! NEW MOON in AQUARIUS on 4th February at 16:03: by working in a perseverant and serious way you start to activate a better communication in your personal relationships. FULL MOON in VIRGO on 19th of February at 10:53: You experience a strong link between the emotions and the body. You have a need for perfection and in this way, you activate empathy and proactive attitude in your professional and social environment. 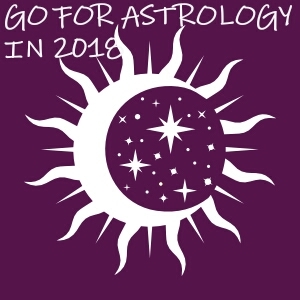 MERCURY is in AQUARIUS until 10 February: You have unusual and original ideas and you should write down and start to choose the best of them and transform them into reality. You may have rebellious actions and try to change the world. That is why on this planet people are not happy and stay in their own misery because everybody wants to change the world. But did they start with themselves? What about you? VENUS is in SAGITTARIUS until 4 February 2019: Adventure in couple or out of the relationship. Enjoy your life, no matter is about love or sharing pleasant moments with others. You may travel abroad, or you may have contacts and collaboration with people from abroad. During this period Venus meets Jupiter and they do together a very powerful conjunction that helps you to be less stressed and more joyful in your life. Opportunities for a wealthy life will occur. VENUS is in CAPRICORN between 4 February and 1 March 2019: Don’t be in a hurry to relate, especially if you are in the beginning of a relationship. If you are already involved in a relationship for a while, then your partner will perceive you to be distant. Rather you are involved with your partner into a common project. Anyway, the level of pragmatism in your relationship is on a peak during this transit. MARS is in ARIES until 14 February 2019: You are very energic and want to do many things, fast. Please act and do not react, otherwise the conflicts will occur in your life. Do not hurry, think before act and be organized. I know you can! Between 14 February and 31 March MARS is in TAURUS: You have strong personal desires, although you will usually follow a reliable course of action in attaining those desires. You are stubborn if opposed.